No matter when you get to travel to Iceland, you can be sure to see some amazing sites. While March in Iceland can be cold and wet, it also can give you one of the last opportunities to see the Northern lights and snow on the ground. Just be sure to know what to wear in Iceland in March to stay warm. Wearing the right types of clothing can make a huge difference in the activities you can do outside (and in Iceland, that is a lot). The weather in March is just plain cold. The average low is -2.2 degrees Celsius (28 F) and the average high is 3.3 degrees Celsius (38 F), You are going to want to bring the warmest clothes you own. What you also need to know about going to Iceland in March is that it is one of the rainiest parts of the year. That means you are going to also want to bring clothes and shoes that can withstand both the cold & the rain. In March, you will find that there is about 10-12 hours of sunlight. The sun rises around 8:30am and sets near 6:30 pm (longer as the month progresses). This should give you plenty daylight hours to explore all Iceland has to offer! Since the weather is unpredictable in March, you will want to be sure to bring along clothing that is not only warm, but will help keep your dry. Look for material that doesn’t absorb water and boots that can deal with both ice and rain. While there are some activities indoors, most everything you will do in Iceland is going to involve hiking, walking & generally just being outdoors. Be prepared. The last thing you want to have happen is be miserable in the cold because you didn’t bring the right clothes and shoes. Don’t forget to pack a swimsuit when you come to Iceland in March. Iceland is known for its thermal pools and a great way to warm up in the chilly weather is by submersing yourself in their naturally heated springs! Which one is our favorite? We love the Secret Lagoon! While much of what you will want to do in Iceland is outdoors, there are some places to explore inside. If you decided to visit Iceland when Easter falls in March, you may find that many places will be closed between Good Friday and Easter Monday. Plan accordingly. If you are hoping to do an Ice Cave tour, you can only do so through the first half of the month. After that, it is too war. Keep in mind, when I say warm, I means warn in terms of Iceland. While the snowy seasons is waning, there will most likely still be snow on the ground in Iceland in March and if you plan on driving you will want to take that into consideration. Often there are road closures due to the snow and ice. From late February through early March, Reykjavik has it’s Food and Fun Festival. You’ll find that the restaurants in Reykjavik will have set menus featuring traditional Iceland ingredients. Also happening in early March is the Reykjavik Folk Festival. For three days (usually over a weekend), twelve musical performers take the stage at Kex hostel. 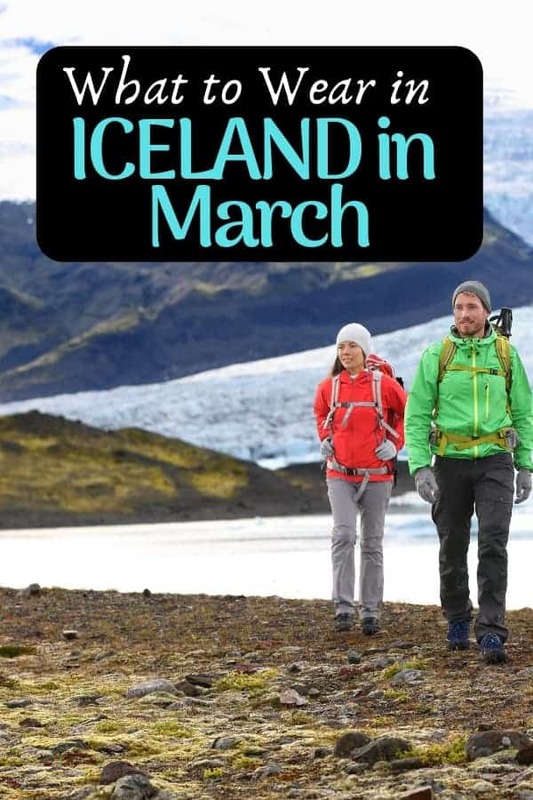 Have you been to Iceland in March? Do you have any other things that should be on this list?